Retirement homes and assisted living facilities are often designed and built to help make the residents feel comfortable and more at home. However, when dealing with the elderly, safety is always a major concern. Some residents can become unstable when walking and the risk of falling is higher. This is why carpets are often used in both the living spaces and common recreational rooms. Carpet provides better foot gripping, a softer walking surface and helps maintain temperature control. It also helps reduce noise in addition to providing a quieter and more relaxing environment. Therefore, carpet will need to be kept clean and looking like new. 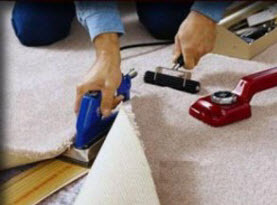 This can be difficult when the carpet gets stains or becomes discolored. Carpet Dye-Tech will share how carpet dyeing restoration services can help aid retirement homes. Carpet needs to be kept clean in retirement homes for a number of reasons. Carpet can hold in dirt and the contaminants can have a great effect on the elderly. As people age their immune system is weakened which is why carpet must be kept very clean to prevent illness or reaction. Because the carpet in retirement homes gets cleaned frequently, it can lose its color and appear faded due to excessive water used as well as sunlight coming through the windows. Frequent carpet cleaning can age carpet as well as cause it to lose color very quickly. Additionally, retirement homes receive a lot of foot traffic from visitors, staff, and the residents. When a resident requires the aid of a wheel chair or scooter, the wheel marks can cause the carpet to get dirty and produce a gray discoloration. Who doesn’t enjoy letting in natural sunlight to help bring in the sun’s warmth to brighten up their living space? Sunlight in moderation is great for everyone, including seniors but isn’t ideal for carpets. 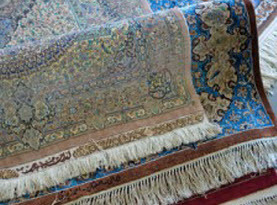 Carpet colors can fade due to extended exposure to sunlight. Even though the carpet is still in good condition the color loss makes the carpet look weathered. 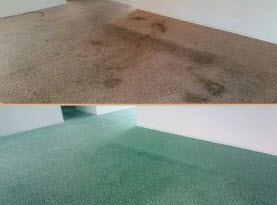 Carpet Dye-Tech can restore carpet to its original color, a darker shade or a new darker color if you desire a change. Another common problem is spills and stains. When stains occur on carpet, depending on what was spilled can, the stain can cause a permanent blemish that affects the appearance of the carpets. The same can be said for bleach spots. Bleach spots are every common in retirement homes. Bleach kills just about all microorganisms which is important to ensuring a clean and healthy environment for the residents. 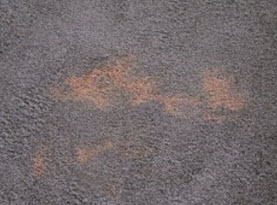 Fortunately, bleach spots can be removed with carpet dyeing to prevent premature carpet replacement. Due to stain and discoloration in the carpet it does seem reasonable to replace carpet due to poor coloration even when the carpet is still in good condition. Replacing carpet is expensive. Instead have the carpet dyed. Carpet dyeing services are much cheaper and can recover the carpets color. Even carpet stains can be dyed over to blend in and remove the stain including bleach spots. Carpet cleaning and dyeing services is fast and safe for the residents. For optimum results, the room or carpeted areas should be bare and then cleaned and dyed. Once the carpet is dry the residents can move back in. Carpet dye and stain restoration is quick, safe and it can help save the facility money. It is recommended for retirement homes as well as other commercial or residential carpets to utilize carpet dyeing and restoration services. Contact Carpet Dye-Tech and schedule our services today.